Our purpose is to create, what we freely admit can only be a crude model of the Kingdom of God in this little corner of the world. So we do all we can to model coming together in a world that tries to divide. We live as a community, filling it with joy and laughter to show what those precious treasures can do for a hurting world. We model compassion, kindness and love each day, starting in our little corner of Berkshire County, in our little corner of our state, in our little corner of the world... always believing that the ripples from our little acts... from our little corner of the world will work their way out from here and somehow... somehow... do nothing less than change the world. We are not super humans. We are the normal hot mess of regular broken, very human people working in the usual fits and starts of human life, to tend this little oasis on the corner of Rt. 7 and Maple Avenue as a sanctuary for the hurting, a respite for the exhausted, a place of healing for the wounded and a place of joy for those who look around and can’t for the life of them, seem to find enough of that fuel of life in their world. We worship together, serve our neighbors near and far together, laugh together and cry together. We welcome people of every age, class, color, and ethnic origin; people of all sexual orientations and gender identities; people who are single, married, divorced, separated, blessed or partnered; people of differing abilities; people of long held faith, lost faith or a faith that has always been hard to hold; people on every part of life’s journey, just as they are. 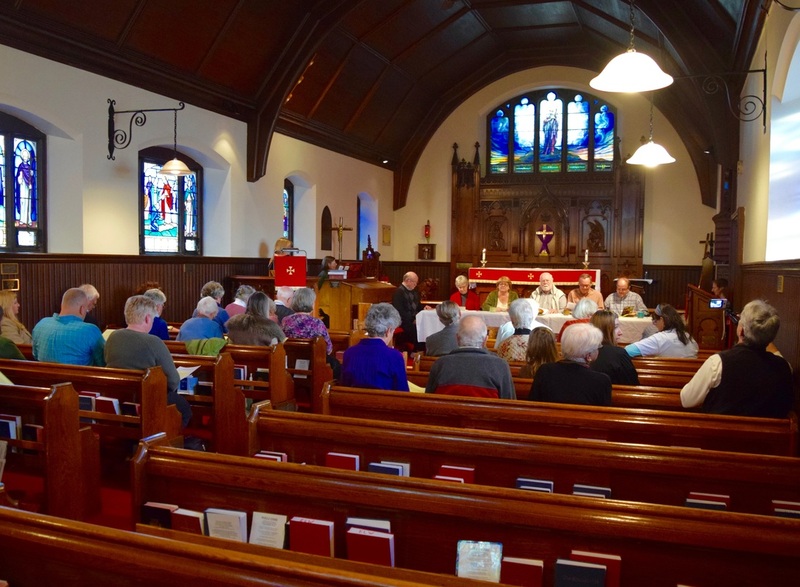 We are a single congregation connected with both the Episcopal Diocese of Western Massachusetts and the New England Synod of the Evangelical Lutheran Church in America.